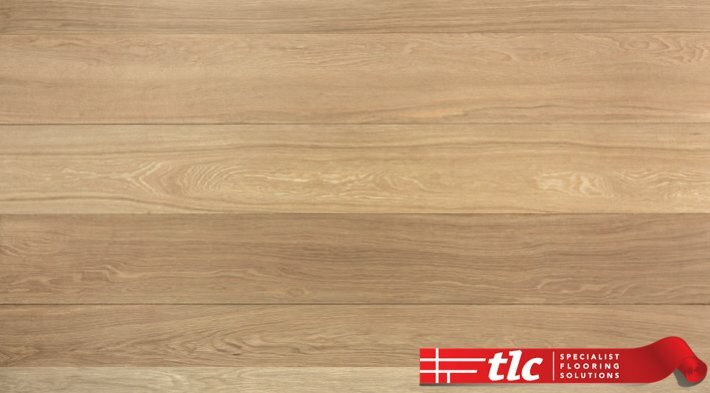 At TLC Flooring we offer a wide range of Engineered Wood Flooring, also known as Hardwood flooring for residential and commercial use. This is the best grade available. The timber selected is uniform in colour and contains no or very limited small knots. Light brown fill if knot occurs. Only 10% – 15% of the oak tree is premium grade, best suited for a clear finish or a light wash – assuring you a flawless floor throughout. A more natural character than premium grade, with slightly more natural knots with light brown fill. expressive wood grain with some colour variation. Good choice for lighter stains. Hand selected to ensure a quality board with consistent knots with dark brown fill. Grade may contain some cracks with dark brown fill. Creates a floor with a combination of clean and country style character. Good choice for a natural oil. Hand selected to ensure a quality grade board with consistent knots and cracks with rustic black fill. Creates a floor with plenty country character. Good choice for natural oils and darker stains. Engineered wood floors are dimensionally more stable than solid wood floors. Stable construction resulting in minimal shrinkage or warping. Suitable for use over underfloor heating. Engineered flooring can be used on wood (baton) sub floors or dry concrete slabs. Can be nailed, glued or laid as a “floating floor” on underlay. Engineered floors can be sanded and refinished / stained if ever desired. Hardwood flooring increases the value of your home. Engineered floors are very easy to install. 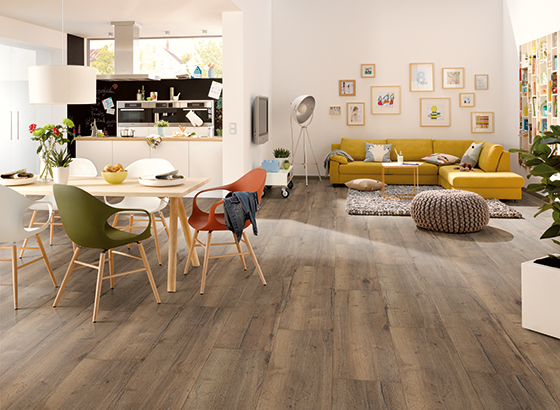 Wood is a common choice as a flooring material due to its aesthetic look and restorability. 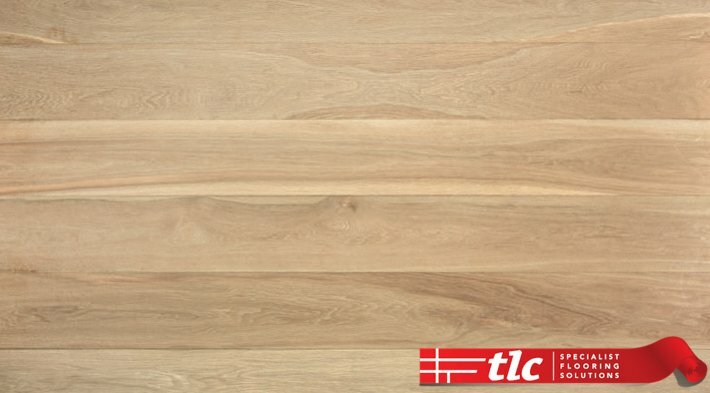 Our Hardwood Floors / Engineered Wooden Flooring / is available in an oiled or lacquered finish. 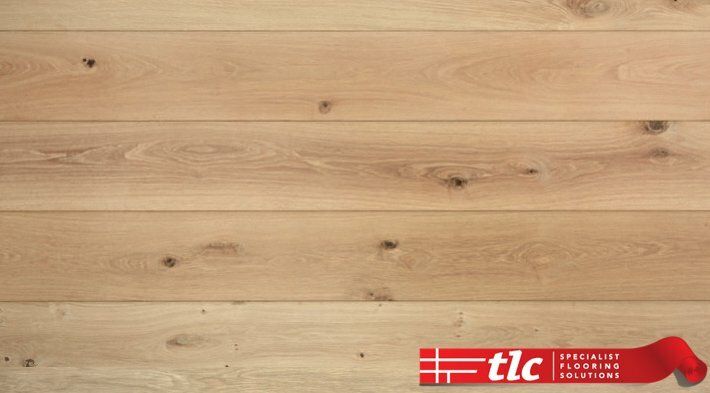 Engineered wood is real wood flooring that’s built in layers and bonded together. The top hardwood layer shows all the natural characteristics and beauty of the selected wood species, just as you would see with any genuine wood floor. Every piece of hardwood is different as there is a variance in grain, holes and colour depending on the species of wood, adding character to your Engineered Wood Flooring. A lacquer finish is ideal in a room where you anticipate heavy traffic. The benefit to a lacquered finish wood finishing on your Wood Floor is that it becomes somewhat water resistant. The one downside of a lacquered Wood Floor is that it has a tendency to show scratches more easily than an oiled floor. Because of this, when the floor finally ends up looking tired and worn, the best course of action is normally a re-sand and re-finish. Lacquer comes in high gloss, gloss and matt finishes. All of that said, even a matt finish tends to have a bit of a shine to it. So when you’re choosing a lacquered finish for your floor, it’s important to be aware of the shine that you’ll get. 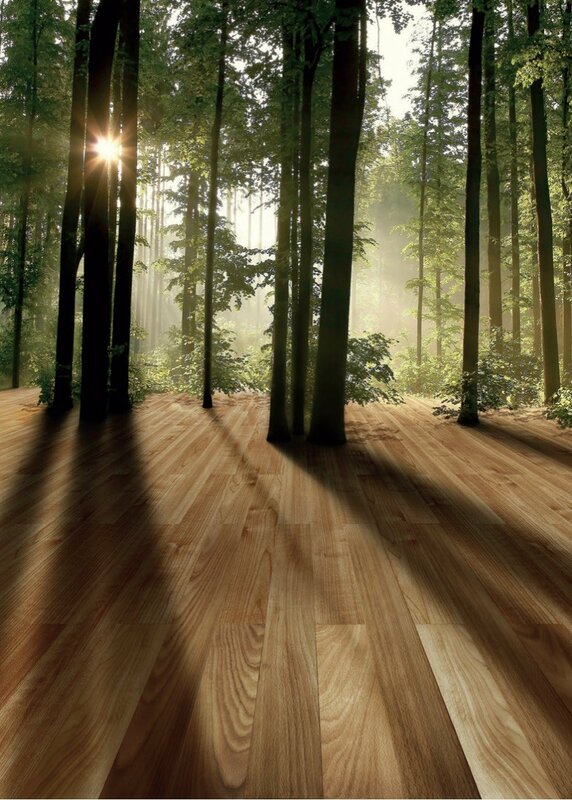 Oiled Wood Flooring has a really natural look and enables the colour of the wood to deepen over the years. The good thing about oiled Wood Flooring finish is that it goes deep into the heart of the wood and provides not only protection on the surface, but into the core too, which means that your wood is protected to the max. Unlike lacquered finish, when the top layer of oil finish gets worn away, there is still a level of protection underneath. Engineered Wood Flooring is more dimensionally stable and doesn’t expand or contract as much as other Wood Flooring. Engineered hardwood provides an advantage over solid hardwood because of the ability to install in multiple areas of the home. Sustainable forest management makes it possible to harvest wood without any serious impact on the environment. Deeper pitched sound when walking on compared to other wood-like flooring. Regular maintenance requires little more than sweeping with a soft bristle broom or vacuuming for dust/debris build up in grooves. Oil soaps should not be used to clean Wooden Floors. Excessive grit and foot traffic may affect appearance, however sanding can renew the look of your Wood Flooring. Variations and abrasions attained over time through normal use tend to give the Wooden Flooring more character. Avoid walking on your Hardwood Wooden Flooring in high heels. 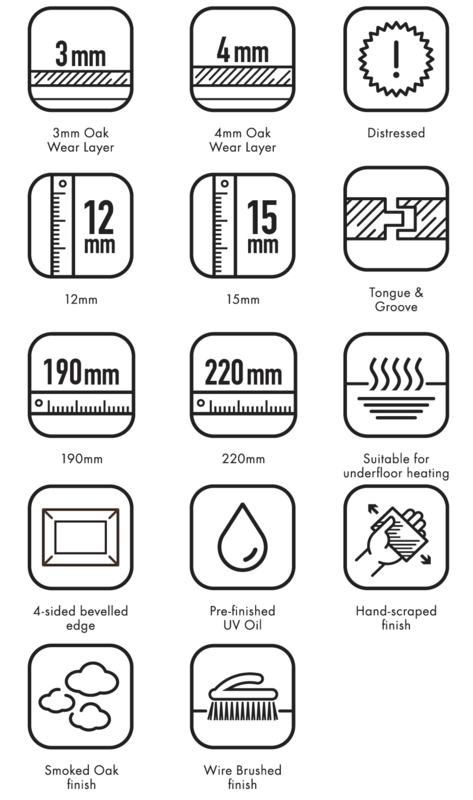 To complete your Engineered Wood installation you will need finishing profiles and skirting, we have a wide variety of finishing profiles and skirting available to match your choice of Engineered Wood. 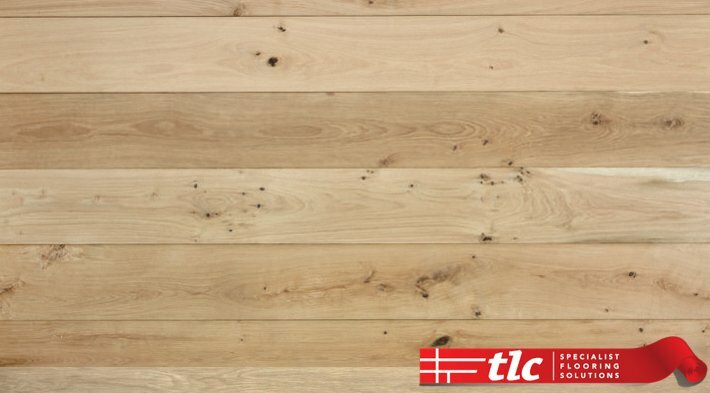 Engineered Wood Flooring can be installed in the following ways, glue down, floating, and nail down. The most common installation methods for this type of flooring are floating or glue down. Glue down offers less of a hollow noise when walking on and less floor movement. However the floating method is easy to install and allows you to install over almost any floor covering, such as plywood, ceramic tile, linoleum floors, and concrete. Nail down installation is a traditional method allowing cavity space between the floor and the concrete. What is an unfinished Wooden Floor? Unfinished is simply a floor that has been sanded, ready to receive its finishing coat. What is a wear layer? How many times can you sand an Engineered Wood Floor? Depends on the products wear layer, can vary from once to 5 times.